Getting this method not found error requires a rare combination of factors. If you haven’t seen it then feel free to ignore this blog post. If you’re an end user and you get this error then make sure the version of Json.NET your application is loading is 5.0.8. If you have 5.0.8 in your \bin directory and you still get this error then check the GAC as well and update it if necessary. If you’re a package author and a user reports getting this error from your code then downgrade the version of Json.NET your package is using to 5.0.4, recompile and release a new version of your package. If you can’t downgrade then another option is to add an IEnumerable<JToken> cast to the erroring foreach loop. Another option is to change the foreach loop to a for loop. In Json.NET 5.0.5 I changed JArray.GetEnumerator’s visibility from interface explicit to public. The side effect of GetEnumerator being public is the C# compiler will no longer add a IEnumerable<JToken> cast to foreach loops. The cast is required when GetEnumerator is interface explicit and is only accessible when the object is cast to IEnumerable<JToken>. The error then occurs when an application or package that has a foreach loop over a JArray and is compiled with a public GetEnumerator is run using an older version of Json.NET, possible out of the GAC, where GetEnumerator is not public. Because there is no cast to IEnumerable<JToken> then .NET can’t find the GetEnumerator method and an exception is thrown. Rather than have this bug keep popping up for users I’m going to change JArray.GetEnumerator’s visibility back to interface explicit – the visibility it had in Json.NET 5.0.4 and earlier. Because this is a binary breaking change I’m going to increase Json.NET’s version number to 6.0. Update: I have left GetEnumerator as public and updated Json.NET's assembly version number to 6.0.0.0 instead. Sorry about this bug. It has sprung up because of a rare combination of factors and unfortunately Json.NET meets all of them. The biggest new feature in Json.NET 5.0.7 is support for serializing and deserializing the offical new .NET Immutable Collections types. // deserializing directly to an immutable collection, what sorcery is this?! There is nothing you need to do to make immutable collection and Json.NET work together. Upgrade to Json.NET 5.0 Release 7, add the immutable collections NuGet package to your project and you can start using immutable collections with Web API, SignalR or directly from Json.NET like the example above. Extension data is now written when an object is serialized. Reading and writing extension data makes it possible to automatically round-trip all JSON without adding every property to the .NET type you’re deserializing to. Only declare the properties you’re interested in and let extension data do the rest. Using extension data to round-trip JSON like this also means you don’t need to worry about third-party sources adding additional JSON because it will automatically be preserved when serializing/deserializing. Nifty. If you don’t want extension data serialized (or deserialized) then disable that functionality by setting WriteData and ReadData properties on ExtensionDataAttribute to false. A couple of bugs crept into Json.NET after the flurry of releases earlier in the year. I have consulted with other developers and the consensus was that bugs are bad so this release fixes all known bugs. Here is a complete list of what has changed since Json.NET 5.0 Release 6. The rapid rise of mobile devices has created new opportunities for software developers: applications available anywhere and at any time, but has brought with it new problems: do I need to make a website and then a separate mobile application for every platform? 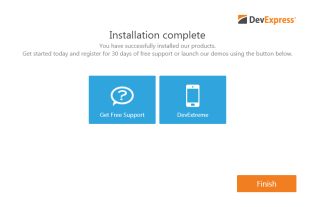 DevExtreme has a great looking custom installer that is impressively simple and easy to use: choose trial installation, customize that install location if you want and you’re done. After installation is complete you are presented with a dialog that serves as a hub to developers getting started with DevExtreme. Resources available to you include links a number of online demos, demo source code that was installed with DevExtreme and comprehensive documentation. The online chart demos in the DevExtreme Data Visualization Gallery are particularly impressive. There are over 50 charts and their source code available which I found a great aid when using DevExtreme. To try out DevExtreme’s charting widgets I’m going to create a simple cross-platform dashboard for the online game streaming website Twitch. 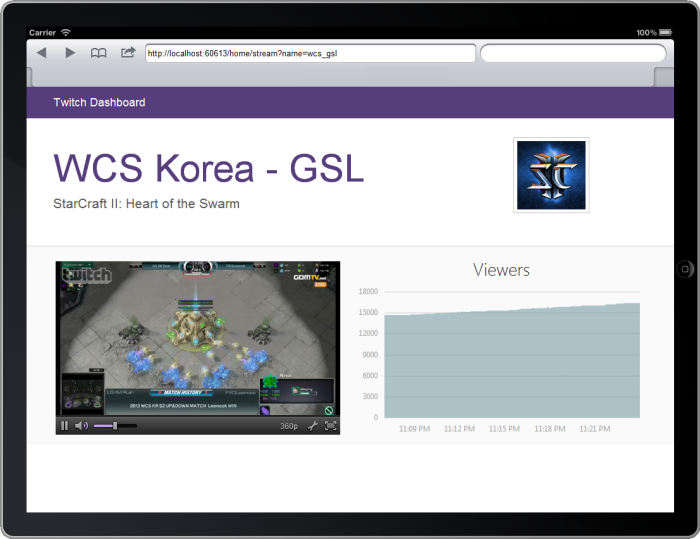 My dashboard app will query Twitch’s REST API for data and graph the games being streamed and the number of viewers over time of the most popular streams. The CDN returns a compressed, cached response to keep the website nice and fast. 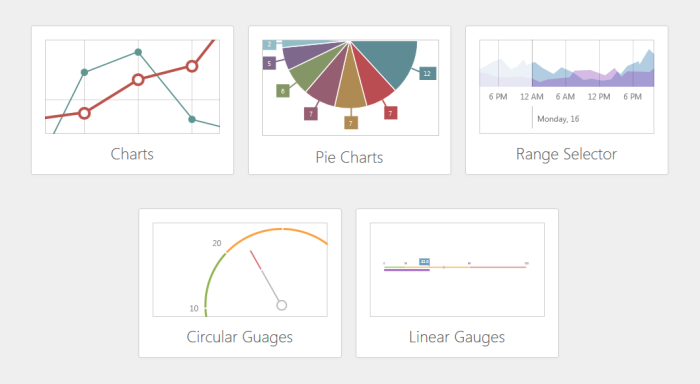 DevExtreme’s data visualization widgets include line, bar, area and pie charts; circular and linear gauges; and range selectors. On the dashboard homepage I will create a pie chart displaying the most popular games being streamed on Twitch. Call dxPieChart on the element you want the chart to appear in. Options are passed to the chart using a simple JSON object as an argument. Once you have your data ready just include it in the options when initializing the chart. The DevExtreme chart widgets have extensive options for hooking into client side events. To add a tooltip and click action to each game in the pie chart just wire up some functions to the tooltip and pointClick properties when initializing the chart. The second chart we’ll create for the dashboard application is an area graph over viewers over time for a video game stream. 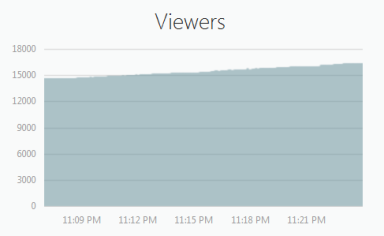 The chart will start out without any data but every couple of seconds we’ll call a Twitch API to return the viewer count and dynamically update the graph with the new data. Note that no data source has be included in the code above. Data will be retrieved from the Twitch API and set against the chart dynamically. Every 5 seconds the browser will poll the server for the current viewers, add the count and date to the data collection and then update the chart with the data collection as an argument. I found the chart widgets in DevExtreme to be fast to setup and easy to use while still offering a lot of power for customization. My small application has barely scratched the surface here of what the chart widgets offer, let alone the other features included in DevExtreme. 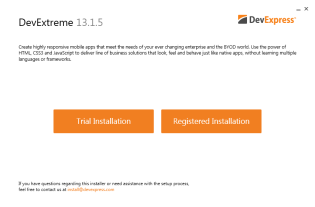 If you’re looking to building a cross-platform multi-device application then DevExtreme is definitely worth a look. Disclosure of Material Connection: I received one or more of the products or services mentioned above for free in the hope that I would mention it on my blog. Regardless, I only recommend products or services I use personally and believe my readers will enjoy. I am disclosing this in accordance with the Federal Trade Commission’s 16 CFR, Part 255: Guides Concerning the Use of Endorsements and Testimonials in Advertising. The big new feature in this release is a Json.NET plugin for Glimpse. For anyone not familiar with Glimpse it is an open source diagnostics tool for ASP.NET, bringing the server-side information of a webpage into the browser. It is very useful and takes just a couple of minutes to get running. Being able to see the complete JSON document that Json.NET serialized or deserialized will be particularly useful when debugging unexpected results. The plugin also adds Json.NET events to the Glimpse timeline tab. The timeline tab is lets you see when and where Json.NET is used in a request. 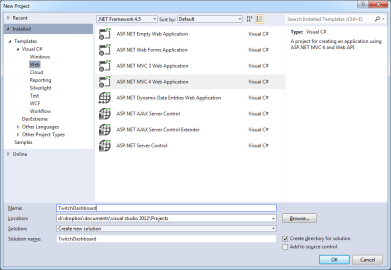 In the example below JSON is deserialized in the ASP.NET MVC controller action and then re-serialized in the Razor view. Today all calls to SerializeObject/DeserializeObject will automatically show up in Glimpse and going forward the frameworks that use Json.NET should also start appearing. Making all JSON actions on the server (deserializing the JSON request, serializing the JSON response, calls to JSON services like Web API/Facebook/Twitter, etc) visible in the browser for debugging without digging into tools like Fiddler will be very useful. Here is a complete list of what has changed since Json.NET 5.0 Release 5. 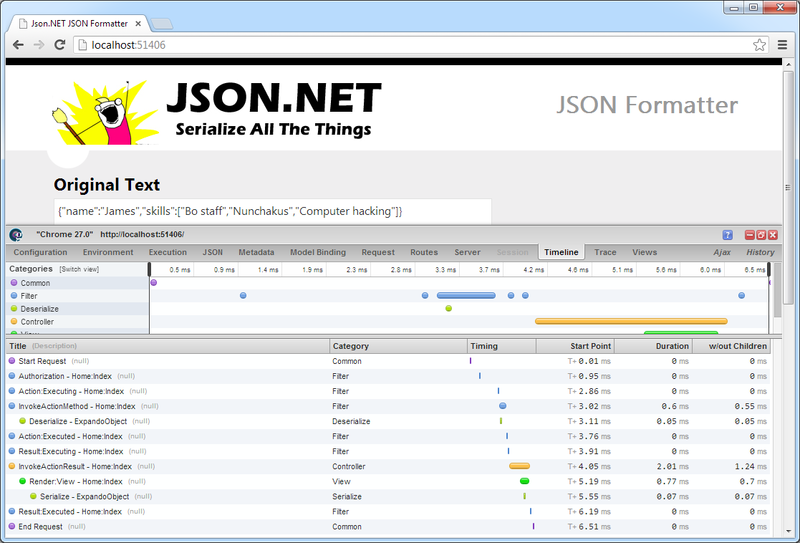 If you have used Json.NET then you will be familiar with JsonSerializerSettings. This class has been an extremely successful at providing an simple way for developers to customize Json.NET. With Json.NET’s increasing popularity and its use by more third party frameworks, a problem I have noticed is a developer has to customize serializer settings in multiple places. If you want your HtmlHelper.ToJson extension method, Web API services and SignalR to serialize JSON the same way across an application then you have to manually share a JsonSerializerSettings instance between them and figure out how each different framework allows you to customize Json.NET. The solution I have come up with is to add global default settings. Set once with JsonConvert.DefaultSettings in an application, the default settings will automatically be used by all calls to JsonConvert.SerializeObject/DeserializeObject, and JToken.ToObject/FromObject. Any user supplied settings to these calls will override the default settings. Because there are cases where JSON should not be customized, e.g. a Facebook or Twitter library, by default JsonSerializer won’t use DefaultSettings, providing an opt-out for those frameworks or for places in your application that shouldn’t use default settings. To create a JsonSerializer that does use them there is a new JsonSerializer.CreateDefault() method. In the short term there will be some third party libraries that don’t use default settings that should, and some third party libraries that do use default settings that shouldn’t. If you encounter a situation where DefaultSettings doesn’t work for you then continue to customize Json.NET settings like you do today. In the long term DefaultSettings will hopefully provide a simple, standard way to developers to customize JSON in .NET applications. The second new feature in Json.NET 5.0 Release 5 is copied inspired by WCF’s IExtensibleDataObject. Extension data is a JSON object’s values that aren’t matched to a .NET property during deserialization. By placing the JsonExtensionDataAttribute on a dictionary all unused values are automatically added to that dictionary and are accessible by you. Here is a complete list of what has changed since Json.NET 5.0 Release 4. 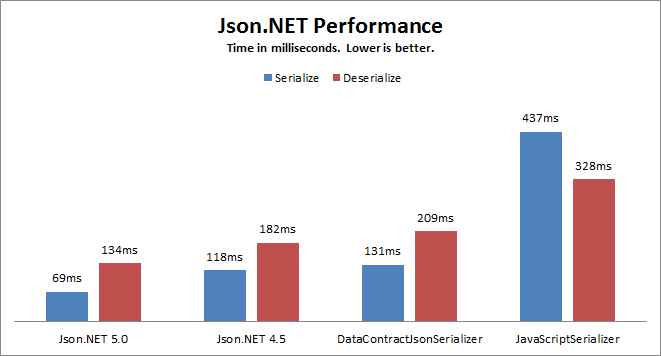 This release of Json.NET ships with many performance improvements, and is over 30% faster serializing and deserializing JSON compared to Json.NET 4.5. An additional performance improvement specific to Windows 8 and Windows Phone 8 is the switch from the serializer internally using latebound reflection to compiled expressions. In exchange for a small one off cost the first time a type is serialized, compiled expressions are considerably faster than latebound reflection and provide an additional speed boost to Json.NET on Win8 and WP8. Here is a complete list of what has changed since Json.NET 5.0 Release 1. Upgrading library versions allows Json.NET to support new .NET features such as dynamic and async across more platforms. A baseline portable class library still supports all platforms (.NET 4 + WP7 + SL5 + Win8) so have no fear Silverlight and Windows Phone developers, even though the dedicated libraries have been removed you can continue use the latest version of Json.NET on Silverlight/Windows Phone with a portable class library. Note that the assembly version number of Json.NET 5.0 hasn't changed and is still 4.5.0.0 to avoid assembly redirect issues. Read more about assembly version numbers here. Json.NET no longer serializes NaN and positive and negative infinity floating point values as symbols, which is invalid JSON. With 5.0 the new default is to serialize those values as strings, e.g. "NaN" instead of NaN. There is no change to serializing normal floating point numbers. A FloatFormatHandling setting has been added so you can control how NaN and infinity values are serialized. Json.NET 5.0 adds support for BigInteger. Now when reading and writing JSON there is no limit on the maximum size of integers Json.NET can handle. There is also support for read-only collection interfaces (IReadOnlyList<T> and IReadOnlyDictionary<TKey, TValue>) which were added in .NET 4.5. As long as there is an IEnumerable<T> constructor then Json.NET will deserialize to the read-only collection for you. There are many performance and memory improvements in Json.NET 5.0, especially when serializing and deserializing collections, and Json.NET in Windows 8 Store apps. Here is a complete list of what has changed since Json.NET 4.5 Release 11.